Videos nowadays are very popular. If you are into videos, maybe you played with them on social media or have a business vlog already let’s get deeper into the details that will help you to bring more people into your business. We’ll cover the important factors of content that you create to get more engagement, when it’s better to create 20 minutes video and when 5 minutes is already enough, how don’t get confused with the audience as it’s one of the key points to succeed with the business vlog. 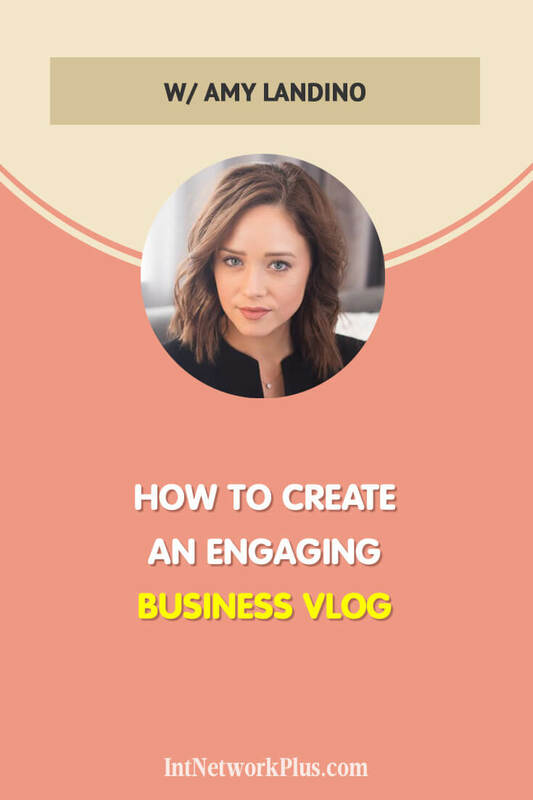 In this episode, Amy Landino shares how to create an engaging business vlog. Amy is best selling author of the book Vlog Like a Boss and Co-Founder at Aftermarq, a creative studio specializing in video storytelling. She is also creator of the globally-recognized YouTube channel Youtube.com/AmyTV where she shares her experience and advice on how to go after the life you want. Amy, please tell us about yourself. Share with us your story. Sure. My name is Amy Landino. Formerly Amy Schmittauer. I was just recently married, so I went through a little bit of a personal brand change. Just in case anybody recognizes my maiden name. It’s kind of hard to understand for a lot of people, but maybe somebody here recognizes that. I’m the author of a book called Vlog Like a Boss. I’ve just been a lover of storytelling with a video for a lot of years. I’ve been on YouTube for 10 years or so. I’m kind of working in the marketing industry for the last eight. It’s been a lot of fun. I think for the most part you would really know my work from YouTube. But my client work has a lot to do with an agency I run with my cofounder Vincenzo Landino, know also my husband. After the mark is our creative studio and we really help medium to large size businesses, leverage video blogging and storytelling through a video to get their brand out there. I’ve really grown since my small little venture back in 2011 up until today. I’m excited to share some of those details with you guys. That all sounds very exciting. How did you start your vlog and how did you become so popular? A lot of hard work. A lot of uploading. A lot of publishing. I’m such a kind thing for you to say. It’s not something I ever really planned on doing, was being sort of popular or being a largely followed, I suppose is another way of saying it. For me, it was all about how I can use this medium to get my message, my name out there so that just the right people could hire me, I could get the right clients, get the right work and be able to go after the life that I want. What it was, anytime I uploaded a video and I saw that I was getting business, a new client might come in or I was getting hired to do more things in the video world or in the consulting world or selling an online product that was ROI for me. I guess the popularity was sort of a byproduct of the fact that I was just taking the simple steps you have to take every single day so that over time those things can work together to really build a business that gets you to a success point that you’re looking to do. I think the biggest takeaway there is you have to press publish, you’ve got to keep going. And even if one video doesn’t do so great or as great as you would’ve hoped, it’s not the one video that’s ever going to make or break you. It’s all of them together and being consistent and continuing to publish. I did that to build my business. And in turn, I’ve really been able to build a community of good friends of mine who I call the socials and we talk about how we can continue to be the best version of ourselves. Knowing a little bit of your story, you’ve been in a completely different area of work and then you started working with social media. How did you start that and how did you turn it into a business? That’s a really good question. I went to school for political science. I thought I was going to raise money and work in politics for my life. It was something I was excited about growing up. I always was really interested in politics, but I didn’t realize until I had been in the job for about three years that I had found this other thing that really was a passion of mine. That was marketing. I never thought in a million years I would like marketing. I thought it was such a dirty word when I was growing up. I thought it was weird. But I just kind of figured it out because I fell in love with video. I learned that YouTube existed. I started to have a presence there and just meet people through video. And when you’re just making videos about your own life and documenting, and this is in 2008, you know, people think you’re kind of crazy in 2008 for doing this, you learn a lot about social media marketing because you’re ultimately trying to find your best audience to watch your videos and learning how to use the social that was available to you at that time to be able to bring them into those videos. That’s what I was teaching myself and learning just because I wanted to. Then as I was doing that I had dear friends of mine who were even smarter than me just saying, “Hey, you know, this is a thing. This is a business. I know a lot of people that are doing stuff like this. They may not be where we live. I listened to that advice because I just thought it was so intriguing that what I could be doing for fun would be something somebody would pay for. I just started looking for those people that were doing it, that we’re making money, that we’re making it a business and learning from them. I think that big first step for me was, first of all, starting a side hustle. I started looking around in my area for people who needed what I did, but because I had no experience and because nobody knew that they had to pay for social media marketing yet, especially in the midwest, I just offered my services for free. I got those first clients. Those were the people that I was working closely with after I left my full-time job every day and on the weekends. The other big thing that I did was surround myself and immerse myself in an environment with other people that were super motivated. That was going to my first conference. They weren’t able to pay for the whole ticket, but they were able to contribute. I saved up some money, I took my vacation time. On my vacation time, I went to an educational conference about marketing. I surrounded myself with those people who were doing what I wanted to do and I just knew once I was there that I was on the right track. It was within a couple of months of going to that first conference and really feeling invigorated and excited that I decided it’s time to leave my full-time job. If I want this to be a business, I have to go all in. And that’s what I did. Fortunately for me, I sort of thought, “Oh, I’ve got a plan B. I could always go raise money on a campaign somewhere or just do that. And if this doesn’t work out, that’s cool. I’m young. I can take the risk right now.” But fortunately, I never had to look back. Wow. You made it happen. Now could you please help our listeners if we want to start the business vlog, what can we begin with? I think the most important thing you can ever begin with is if you want to start a business vlog to know who your customers are. First and foremost, you’ve got to know who they are, what they’re like, why they would buy from you, not why you think they should buy from you. Why would they buy from you? And if with that being the case what are the questions that pop up? What are the frequently asked questions that you get? What are questions somebody would ask you while you’re going through potentially a sales process for your services? What is somebody thinking about now before they’re even ready for your product? That’s what your vlog should be about. Answering the questions that somebody would have before they’re ready to buy from you. You’re better educating them to be able to buy from you. You’re really setting them up for success. What you’re really doing there is you’re hacking search a little bit, especially with YouTube being the number two search engine in the world. You can really leverage the fact that people ask it questions all the time. You can answer those questions and do that through video. In doing so, you have two things: you’ve got a great marketing strategy, but you also have a great customer service strategy. Let’s say somebody is not quite there yet. They’re not buying from you yet. They’re not working with you yet, but they ask a question a lot of people ask. You, instead of just sort of punching out an answer in an email or jumping on a call and sort of spitting out an answer in a couple of minutes. Now they have a really amazing touchpoint with you where they see what you’re capable of. They see that you do understand where they’re at and what they’re thinking about. You’re answering those questions. And you’re enhancing that relationship instead of just delivering on their questions whenever they have them throughout the sales process. It really feels like an experience for them. That’s really great because not only is that going to help you with anybody who could potentially be buying from you right now, but anybody who may not be yet. And anyone that that person maybe wants to send your video too and say, “Hey, does this help you? I thought you were struggling with the same thing.” That’s how word of mouth starts to happen. My big, big point here as think about who you sell to, who your product is for and what are the questions they’re asking right now. Not necessarily even the questions right before they buy your product. What are they thinking about right now that is relevant to what you do so that you can be the thought leader in their life and be able to get them through the process of potentially buying from you? That’s an interesting strategy. So you suggest people think about what their potential clients are working on or struggling with an answer those questions, not specifically related to your product or service? Absolutely. I think the worst thing you can do is focus on your product or service. Think about whether or not your… most of your potential customers don’t even know who you are yet. With that being the case, do you think they’re looking for information on your product? Definitely not. They don’t even know it exists. They don’t even know it’s a possibility. But if you can answer a question of a problem that they’re having right now or help them get through a situation that they’re struggling with and that’s going to be one step, maybe out of 10, closer to them wondering about your product. At least you got in the door when it was time to get on their radar. So yeah, you should absolutely steer away not from what you’re good at, but from your product because it’s not relevant right now. 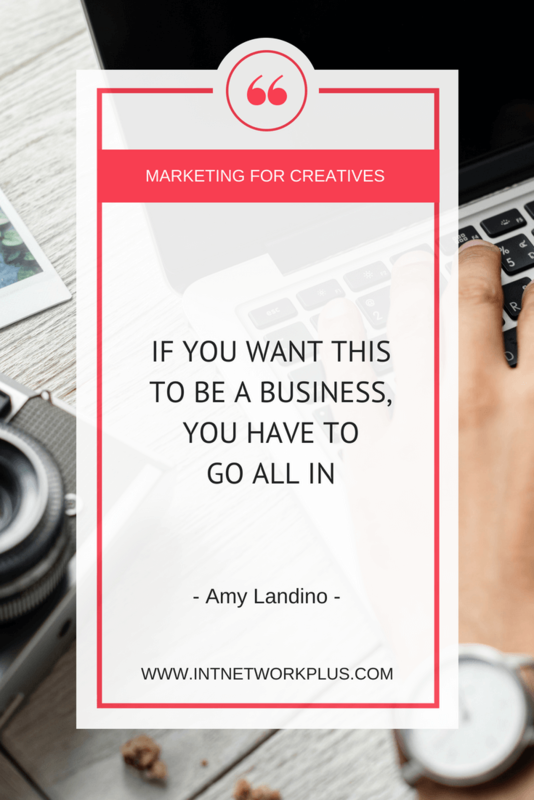 It is not the content marketing you need in order to build the relationship with your potential customer for them to want to become your customer. In the beginning, when you shared your story, you said that you were looking for your audience. How can our listeners to find their audience on YouTube or on any other media platforms where they put their videos and they started their business vlog? How to find this audience? I think when you are creating this content for a business vlog, you’re looking for the same type of audience that might be your customer in some way. It can be directly or indirectly. You kind of have to design that. But you should be talking to the same people across the board. You should be really good at talking to those people so they feel like they have a place they can rely on you for that specific thing that you do so well. If you’re trying to find your audience, it’s more about having them find you. You need to do a little bit of both. You’ve got to bring a little bit of attention to your videos so that these other platforms, with all their algorithms and their discoverability, will send you some more attention as well. But until you make it super clear who you serve, those platforms can’t do that very well. You’ve got to be able to tell them, “Hey, this is what I’m good at. This is what I talk about. This is who I help.” So that when you explain that in your video and you’re helping the viewer, but also in your title, your description, your tags in a situation like YouTube. YouTube can look at all of those factors and say, “Oh, we get who this is for.” And they can send you more of those people. I personally totally recommend you to. I’m sure that’s no shock to a lot of people who’ve gone to youtube.com/AmyTV at this point to see what I’ve been doing for a long time. But it’s because it is such an amazing place for your video archives. When you look at a place like Instagram or Facebook or Snapchat, everything is dying off so quickly. When you upload a video, it dies off in 24 to 48 hours. A video on YouTube could last you years. It could bring in traffic and new viewers for years or for months or for weeks or even days. That could be longer than what you did on these other networks. The other networks might be sending you more views in a shorter period of time, but they’re very superficial. They’re not meaningful views in a lot of situations because the video is just happening to them in another environment that they were not necessarily asking for it. When someone watches a YouTube video, they decide to watch it, they click it, they intentionally view it, they hear it, the audio starts at the same time as the beginning of the video. It’s a very different experience. My point is, you know, I’m a big proponent of YouTube and its possibilities. It’s never wavered and how powerful it is. But it’s also just insanely discoverable. If you really talk to your person specifically and you don’t think that you can help all people with all things because that’s too vague and you’ll never make it, then you can get really specialized. And these platforms like YouTube can say, we understand who to send your way. We’re going to send those people your way. How do you plan content for a business vlog so it will be exactly on point for those people? You said that we can answer the question which our audience now have. Would you plan them somehow or just answer randomly? I think it’s important to have a sustainability model. Something that I learned about YouTube is that there are different videos that have different purposes. You’re not going to have videos with the same purpose every single time you publish. These all could be frequently asked questions. But some of them might be more just tailored for your existing audience, where other ones will be more tailored for a broader audience who doesn’t know you exist yet. And other things will be tailored more for search. If you really understand that there are different videos, different purposes for each of them and try to cover those bases as best you can, then you’re going to have a much more sustainable video model than just doing FAQ all the time or just trying to have a viral hit every single time you upload a video. That’s just not sustainable. The key here is that consistency. If you want to find success with video, you tap into what your customer is thinking about right now, whether they’re asking a question, going through a struggle, looking for a laugh. It doesn’t matter what it is. Tap into what they’re thinking about right now and be consistent. But be consistent in your sustainability by actually having these different categories that make sense for you to always be able to get the video done. You’re not always doing this big production thing, but you’ll do those big production things maybe once a quarter. Then you have more touch points and more conversational, “Hey, it’s just me and my community videos happen more often.” And then you’ll have the ones that are really geared towards search. When you start to cover a lot of different bases, it helps you to be sustainable, keeps you consistent and it’s all for your audience. Amy, before you mentioned a little bit that some people post daily or document staff and here we’re talking about answering people’s staff. What would you suggest in terms of consistency, how often to post and how will you mix up this content documenting, covering the interesting marketing or whatever points about your service or something related to the audience? Documentation is a really cool opportunity. When you’re able to show, to tell, that’s amazing. I don’t discount any format of video if you can still achieve the thing that you’re trying to teach your audience. In my videos, typically I like to just sit down and have a conversation with them one on one. But I might be able to teach them a similar message by bringing them with me on a business trip and having the camera follow me around for that. There’s a lot of different things you can do. It’s completely up to you on what your best format is. But you can still answer frequently asked questions in all of those different ways. Just, first of all, keep that in mind. I’m trying to remember the other part of your question. Oh, the amount of times to post. The really cool thing about YouTube is that industry standard is once a week. In 2018 in this world where everyone’s thinking they got to post daily in order to succeed, that’s actually kind of nice to hear for a lot of us businesses who are really busy running a business and can’t upload videos daily to YouTube or Facebook or Instagram and it totally makes sense. But it’s all about the context of the platform and YouTube industry standard is once a week. Why is that? That’s probably because of video can last for years or months or weeks or whatever the case may be. On Facebook where your video is going to die off and a couple of days, you’ve probably got to upload more often. Instagram Stories expire after 24 hours. You’re going to want to upload Instagram Stories as often as possible so your story never dies. You can see where the difference in the context of the platform is super important. If you’re looking at YouTube though, all you have to do is nail once a week. If you nail once a week, you show up consistently, you cover all your bases and you really make something that’s tailored for a specific person so they know how to talk about you, they understand your brand, they share with their friends, that’s all you’ve got to do for YouTube to start to see you as a channel that is growing. Obviously, there is a momentum that has to come with that. You’ve got to have some views. You’ve got to have some watch time. But uploading every single day does not always equal watch time and if you can get just as much or more watch time on one video per week instead of five or seven, why wouldn’t you do that? My opinion is if you’re going to get started with YouTube, especially as a business vlog, have one day a week that you upload and you never miss that one day a week. Batch record. Knock out four or five episodes at the beginning of the month. Film them all. Get them all ready for posting and schedule them out so you’re not wasting your time as a business. Because it is so precious that time. And stay consistent. It’ll be good for you. It’ll be good for the audience. 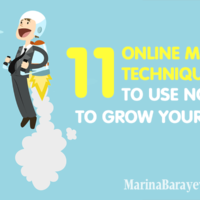 It’ll be great for planting your seeds on a network like YouTube. You said that this is important for how long people watch your video. For how long do you recommend to have the video in general? And how can you keep people engaged with this video? So they will watch it till maybe till the end or maybe at least till the middle. Yeah. It’s really tough to keep attention these days. And I love this question because of that. Here’s my advice on this. When no one knows you exist all watch time is good watch time. But it doesn’t mean… it’s similar to how a lot of people are posting every single day. They think that’s the way to achieve minutes watched. But similar to that, people will post a 20-minute YouTube episode and they think that’s the way to achieve watch time. If somebody sits here, they’ll watch 20 minutes. Well, are they going to watch 20 minutes? Do they know who you are yet? Do you have any social proof? Is there anything that is pointing to the fact that they need to watch all 20 minutes of this? You might lose them after one or two minutes. And now you’re talking about a ratio of two minutes out of 20 and that’s not very good. On YouTube, we’re really shooting for at least 50% retention. On a video that’s 10 minutes long, if we can get them to watch for at least five minutes on average, we’re doing pretty good. My advice is, although we live in a world where long-form content absolutely works when you are just getting started, the most important thing is for you to make a great first impression and get people hooked on you. I would recommend nothing longer than five minutes. Five minutes is super long. Super long these days. You really want to go shoot between the two to five-minute mark and just get really consistent once a week on a place like YouTube. This is not my advice for other platforms. This is for YouTube specifically. It changes for everything. But if you can really prove that you can deliver in a short period of time like that, you’re more likely to have that shareability. And also, that relationship with that viewer that they would come back and that they would subscribe and that they would eventually watch your 10, 15, 20-minute videos because they love what you’ve done thus far. When you’re just getting started, I highly recommend you can prove you can deliver in a short period of time and that’s going to be your fastest path to success. Does the time matter? At what time is it better to post? You said once a week. What about the daytime? I think that has more to do with who your community is. What’s their time zone? When do they like to watch? When are they at work? When are they home? Really understanding what their day is like and when would be really convenient for them to watch your video. I think that’s what I would be thinking about if I’m you. Me in particular, I know that later in the day in the middle of the week is pretty good because people are kind of getting a little sluggish at their work desk or at school. So I’m usually shooting for Wednesday in the afternoon. Then same with Sundays. I love to just kind of get people excited about a new week so I like to publish in the evenings on Sundays. That’s all on eastern time. I just know that because I know where my audience is. A lot of them are on the west coast but a lot of them are also all over the United States. So I’m serving them in a time zone that works best for them. I also know that my friends in the UK who are also a big audience for me, they will be able to wake up Monday morning or Thursday morning and watched what they miss the night before. That’s what I typically think about because I’m looking at my demographics. I’m looking at where everybody lives, what their time zones are, and when they might want to watch a video from me. Once you start to measure that, you don’t have to get too scientific with it because the majority of it is just saying when you’re going to be there and showing up. Because if you tell your audience, I’ll be here on Wednesday afternoon, they’re going to be waiting for you on Wednesday afternoon. It’s really kind of up to you and your audience on one that works best. So it’s better just pick a time, pick a date and get stick to that so when you get there, people will know where and when they can find you? Absolutely. Just it makes sure you promote it and you tell everybody what they can expect. How can we promote it? How can we reach more people? I think the biggest thing is knowing that everyone has a network. You may feel like you’re starting from scratch and you have nobody there for you, but we’ve all been on social media, we’ve all been meeting people, we all know people. It’s really important to have that because then YouTube and all these networks can see that you bring a little bit of attention in addition to all your social promotion that helps them see that they might want to send some more people your way as well. But it’s the consistency of that. You should never just post a video and walk away. You should promote the crap out of it like it’s your new product. When you do that, it’s much more likely to gain traction and for you to get some more attention from the network itself referring people to you. Always, always, always leveraged the networks that you have. Think about the social networks where your audience likes to hang out. You should have a presence there. You should be promoting yourself there and getting your content out there. Because quite frankly it feels like you’re just pushing content, but they’re waiting for it. That’s what they followed you for. That’s what they’re asking for. You’re simply updating them any way that you can, that it’s there. That’s interesting that you say, we need to engage with people offline or social media or whatever. How can we also engage on the videos which we post on our business vlog? Do you know any tips how can we make the video shareworthy? So people will watch it and then they will also recommend to their friends. Not only we promote ourselves. Absolutely. I think first and foremost, this comes down to you knowing who you’re talking to because ideally, the video is shareable because of a very, very good and specific reason people love to share when it makes them look good too. If you think about it, even not just YouTube or not just these people who are getting attention, have personal brands. Every single person who has a social network has their own personal brand and you might be thinking of someone right now who’s just sort of your average friend who always talks about the same thing on their social network. It could be how annoyed they are. It could be how happy they are with their family. It could be that they hate politics. It could be a whole lot of things. But they all have a personal brand. You’ve come to realize that about them, so when you think about the shareability of your content for another person, then think about the impact that they’re going to have by sharing that piece of content with their community. How is that a reflection of their personal brand? Because even though they don’t think of it that way, it really is that way and what they don’t want people to know happens in the DM or happens privately. That’s where the real magic happens with shareability and that’s what you should be shooting for. This is interesting that you say that and people say that you need to create an avatar of your persona. But sometime in businesses there can be a few different avatars. When you create the video for a business vlog would you create it for your audience in general or you would pick a kind of specific avatar, specific person and try to nail down content for this person? And then next one maybe for another avatar. that mold and I still absolutely fit their life, I fit their day and I’m a video they want to watch heard it a few times and I understand why that might be the case. I guess this is my challenge. If you think you have multiple avatars, then maybe you haven’t niched them down enough. I know who my avatar is. But there may be someone still watching who doesn’t fit every single time. But I always think of my avatar every single time. Maybe if you have different types of avatars that you’re trying to get in touch with, maybe they seem different, but there are certain qualities of what they’re looking for, what they care about, what they struggle with, what their business is like, that actually makes them the same avatar. I say that because I worry that people are not getting specific enough about who they’re talking to because in my opinion, anytime your video is for a different type of person than the last video, they shouldn’t even be in the same ecosystem. They should have a completely different channel altogether. For instance, let’s take a real estate agent. If a real estate agent is targeting sellers only. Let’s say sellers only. I don’t know why they would do that. But let’s say sellers only. If they have a video for buyers, then why would they put a video for buyers on the seller channel? It’s not gonna fit for the sellers. The sellers are subscribed. They care and they want to watch every video. They want to be on their game. They want to sell that property correctly and the buyer video may offer some interesting insight, but they basically get permission to skip it because it’s not for them. In a world like YouTube, allowing somebody to skip the next video is a great way to make that channel fail because the goal is that your subscribers see every video and get excited about every video that comes in. But if you give them permission to not watch a video, then that’s a good way to confuse the channel. Another example of this would be a multiple language channel. I would actually argue that if you are going to create an English-speaking channel, but you also feel you have avatars who are Spanish speaking, then which one are they? Because the likelihood that they are both is totally possible, but they’re more than likely searching for things in one particular language and anticipate receiving results from that particular language. So you would want English on one channel and Spanish on another. That’s my personal opinion because you have to gear this towards your perfect customer. Because even if somebody comes to it and they think it’s a fit, but it’s not, it wasn’t necessarily designed perfectly for them. It doesn’t matter. They’re still gonna come back. That’s kind of my position about that. I think you should always have your avatar in mind. You should always have that person in mind. Give them a name. Make them your best friend. Think, how does this affect Charlotte? That’s what I ask myself every single time I make a video. I’m talking to Charlotte. I know Charlotte. I know what you did last night. I know what drinks she had. I know what her commute is like to work. I know all about her life. That makes me able to look at every video and say, how does this affect Charlotte? That’s what makes it for her every time. That’s a great tip because a lot of people I see confusing with those things. They create videos and they just mess up with them or with their content. You have a very popular YouTube channel now. What do you think are the three main factors of your success that you could recommend to people who want to start a business vlog? I think first and foremost was the one that we really drilled home, which is knowing who you’re talking to and staying very true to that. That’s gonna that is going to take you a lot of places. But it won’t take you anywhere without consistency. If you do not post consistently if you do not post regularly, if you do not build that relationship, and I know that, that generic phrase now everyone’s saying that, but the first step in your relationship with somebody is showing up when you said to show up. If they don’t show up and it’s like a consistent thing that they don’t show up, we’re not really friends anymore. Like I got better things to do. You’ve got to be consistent and you really have to know who you’re talking to. I think besides that, it’s getting out of your head about who else might be listening, who might be judging you and looking straight into the lens of that camera as the person that you’re marrying this for and just talking to them. You’re talking to a camera. You’re not talking to your mom. You’re not talking to your best friend. You’re talking to your avatar. You’re having a conversation. There’s no reason to get all in your head, what’s your hair doing or why is everything perfect. Just be there in that conversation, in that moment with the person and you will be far and away better than many veils on the planet right now. Thank you, Amy, for the great tips and great advice. Please share now with our listeners how they can find you? How can they know more about you? I really, really appreciate your time, Marina. Thank you so much for having me. I just love being able to talk about this with everyone. So the fact that you brought me to talk to your community means a lot. And if anyone would like to hang out with me, just pop over to YouTube. Youtube.com/AmyTV, A-M-Y-T-V.
And you can also find out more details about my book, my speaking, my businesses amylandino.com. Fantastic, Amy. Thank you so much. It was so much pleasure to have you on the show.